I open my eyes and see myself at the launching place - the same goes on... for my dream of flying is not a dream anymore! I fly... and you can do the same!!! 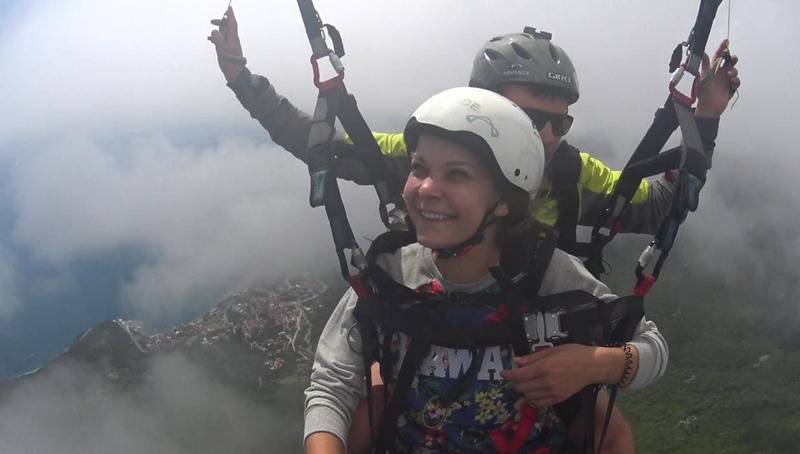 With tandem flights in Budva Paragliding Montenegro, it is also possible for averyone to experience the overwhelming impressions and feelings of a paragliding flight. 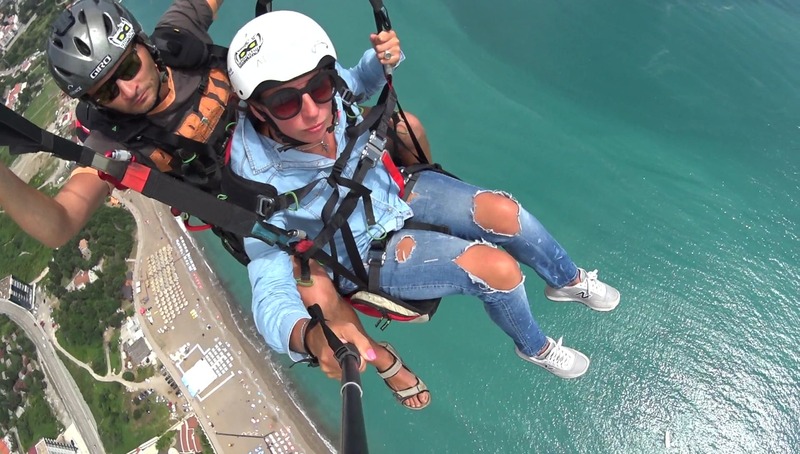 Experienced paragliding tandem pilot will take you into the air and share your dreams. Only with us are you available exclusive routes flying adventures in Montenegro! 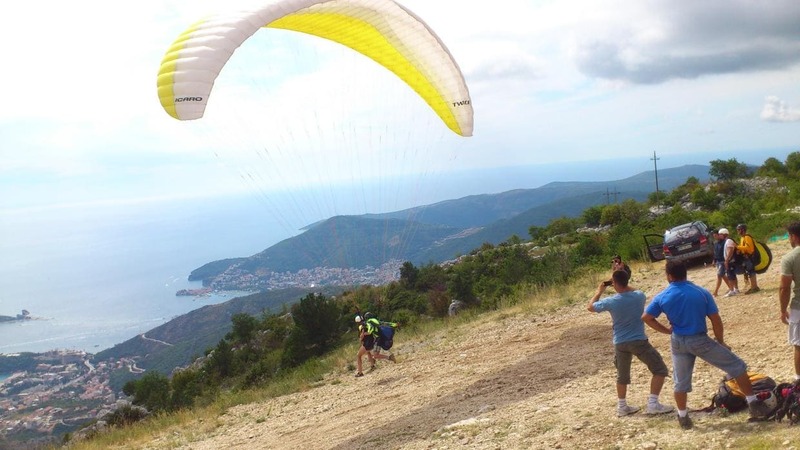 Passanger for tandem flight with experienced team of Montenegro paragliding can be anyone who is well on foot and has a minimum of sportiness and agility. This means no injuries on ankle, knee or back and internal organs. Depending on weather conditions, several rapid steps may be necessary for take-off and landing, so your basic health should meet this requirement. The choice of the right clothing is not unimportant for this outdoor activities Montenegro. So it would be annoying if your booked tandem flight will be disappointed due to wrong clothes (and correspondingly cold feeling). 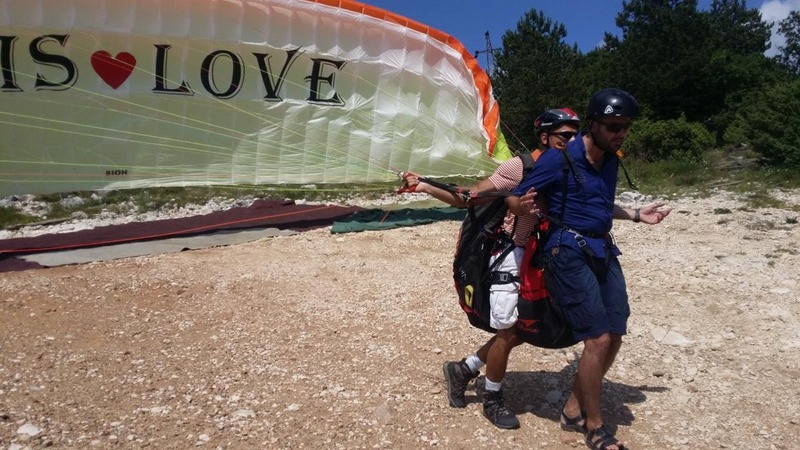 The aim of the tandem flight of Montenegro paragling is to offer the passenger the opportunity to experience unforgettable emotions and enjoy flying without further external influences. It will be a pity if you are freezing during the flight as sometimes wind can be too strong, so you should take into account these risks from the begining and choice the right clothes. As soon as we reseive information about our reservation we will contact you via mail, phone or other ways for confirmation some details. 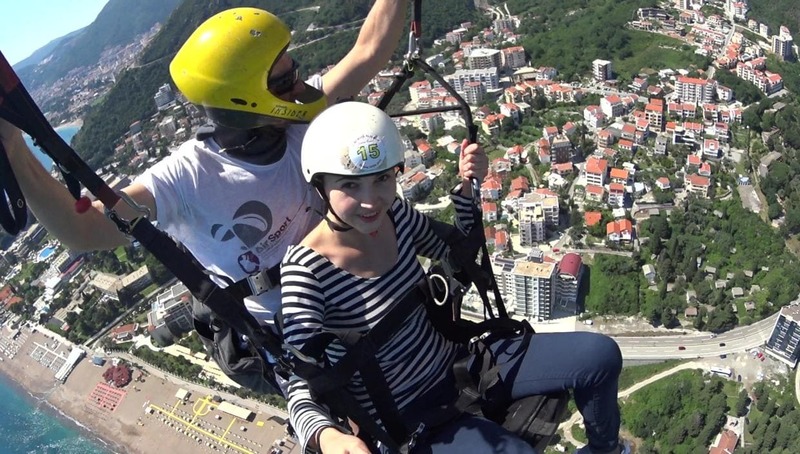 On the booked flight day you meet at the agreed time and place with the pilot of Paragliding Montenegro team. If you are flying in the mountains, you will often be informed about the tandem flight during the ascent, about the flight schedule and about the upcoming route. Very often the passengers are curious about themselves and ask questions (... "no" we do not jump! ); Sometimes, however, the desired conversation is also useful to reduce possible excitement or nervousness in the passenger. At the take-off place you get a detailed briefing on the equipment, the starting sequence and the behavior during the flight. Depending on the Tandempilot, you may get an introduction to the behavior during the landing. This, however, is, in my view, less useful, in order not to overwhelm the possibly nervous passenger at the start with unnecessary information. You have enough time during the flight to discuss your behavior during the landing. Helmet, harness, and carabiner closed? Linnes and straps, accelerator ok? Entry edge open, paraglider ok? Wind direction and strength ok? Air and free space free? Standing all five points on "Go" can go. Your pilot pulls up the wing and you already feel the pull on the straps or on the harness. Important in this phase: "please do not already put into the harness"!!! A few more powerful steps and the screen lifts off and flies with you in the direction of freedom! Only after the Tandempilot gives the free sign, you slide back into the harness. From this point the drops is sucked and you can fully enjoy the tandem flying of Paragliding Montenegro. Book your tanden paragliding now!